Wangaratta 6/12 Neighbourhood Watch covers the area from Taminick Gap Road in the south to Kensington Estate in the north, Warby Range to the west and the Glenrowan Road/Three Mile Creek is the eastern boundary. Part of this area was the original Neighbourhood Watch known as Area 12 Wangaratta. Being formed in March 2000 this original group covered most of the South Wangaratta district. The reason for beginning this original area coverage, was that Richard Marsh and his neighbours had noticed that the majority of Wangaratta district had Neighbourhood Watch groups operating and this South Wangaratta area appeared to be the only section not covered. Richard’s brother from the Northern Territory was involved in his local branch and felt very strongly that Neighbourhood Watch was a deterrent against crime. Richard made contact with the local police and enquired about why we did not have this organisation operating locally. He was referred to Senior Constable Bob Cusack, Police Coordinator of Neighbourhood Watch who told him that to have a successful group approximately 350 households would be required, and he did not believe that there would be that many in the South Wangaratta area. A week later he contacted Richard to say that after investigations he now believed there were in excess of 400 hundred households. After his suggestion, Richard travelled around the area for several days speaking with many residents about the formation of a Neighbourhood Watch group. With only one exception, all households seemed most interested. Senior Constable Cusack then recommended that residents were canvassed to arrange for 18 people to attend a meeting to learn about the formation of a group. Asking for a commitment from locals was most difficult and only nine people were prepared to attend such a meeting. After the meeting these nine people were encouraged to promote the establishment of a local Neighbourhood Watch. They did this most enthusiastically resulting in 92 attendees. 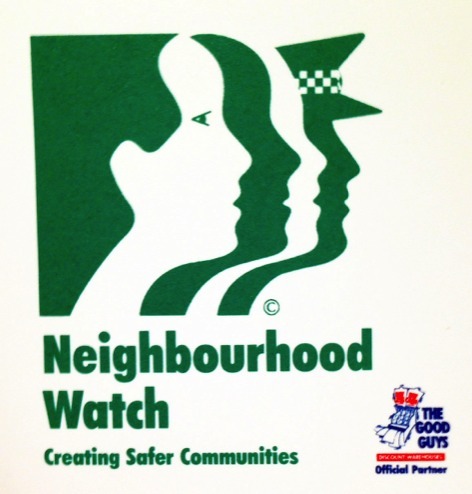 So the Wangaratta 12 Neighbourhood Watch was formed with the ideals of having a group of community based residents who would work together, sharing the responsibility to protect the safety of the community. Whilst over time the numbers attending meetings have declined, the above aims are to this day held very strongly by a lesser number of very dedicated people. All are very proud to be a member of an organisation which they believe can be given credit for the district enjoying a low crime rate. The South Wangaratta Neighbourhood Watch meets bi-monthly to reinforce the dedication to keep the district relatively free of crime. It also gives all residents the opportunity to raise any concerns and interests for the betterment of the district. A bi-monthly newsletter is delivered to all households to keep the locals informed. The members who give of their time and energy to deliver the 500 + newsletters are to be congratulated and thanked for their services. Richard Marsh is the area coordinator and he organises meetings in February, April, June, August and October, on the second Tuesday of each of these months. Guest speakers are invited to attend most meetings and give interesting presentations.